I know what you must be thinking. 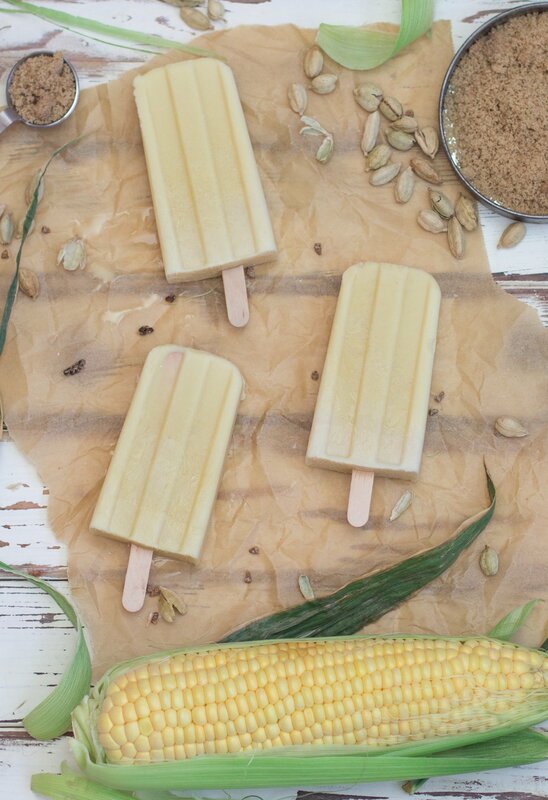 Corn popsicles sound… crazy. But if you consider the role that corn plays in sweetening modern foods, maybe not? 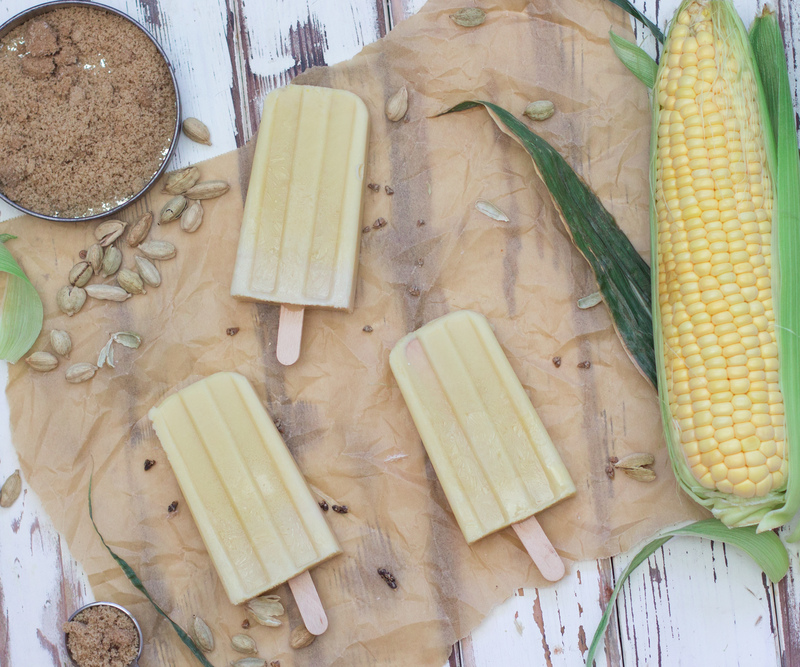 These Sweet Corn & Cardamom Popsicles are slightly sweet and savory and have a spicy finish to them. Perfect for your next BBQ! Good pops starts with good corn. Despite its robust structure, corn is rather delicate. 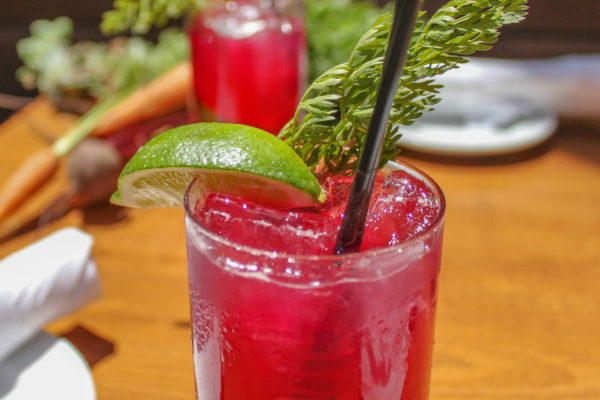 It is best when freshly picked and used up shortly after. Get it from your farmers market for the best there is to get. To clean the 4 ears of corn, simply grab the strings and husks together at the top and peel them off in one fell swoop. 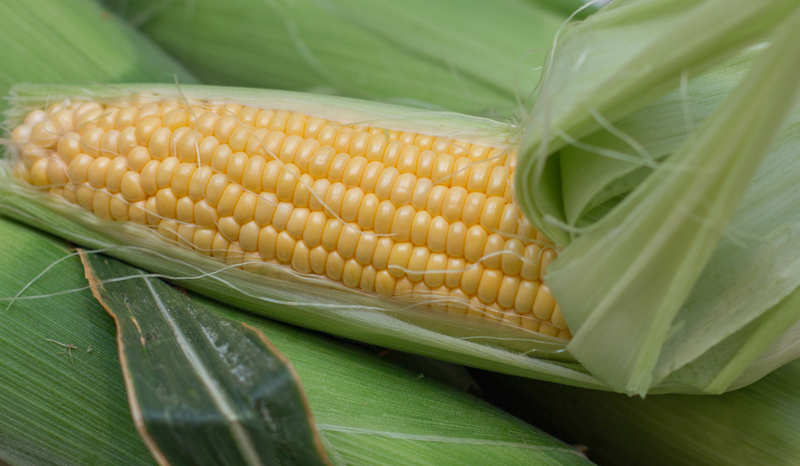 The easiest way to remove corn from the cob is to lay out a clean cloth towel and hold the peeled corn cobs upright. Cutting with a butcher's knife, slice in a downward motion. The towel will prevent the kernels from bouncing all over the place as they seem to be made from Flubber. Line a baking sheet with parchment paper and spread the corn out on it. 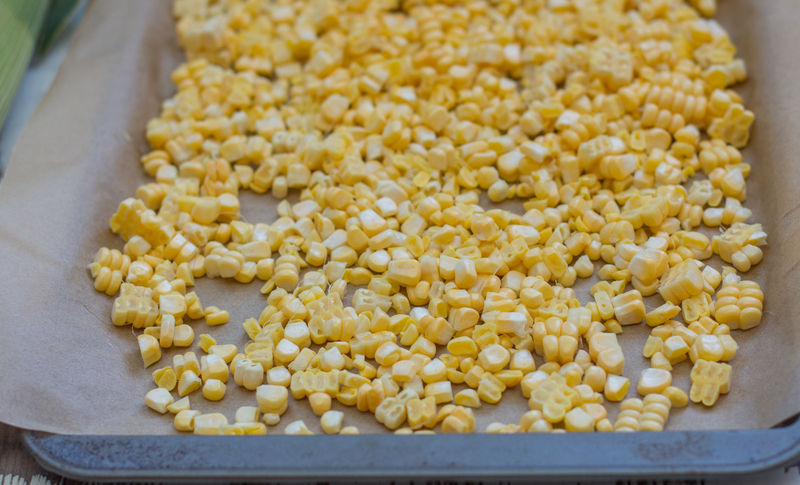 Roast the corn in a pre-heated oven at 350 degrees F for about an hour, flipping the corn kernels over half way through. Once the corn is roasted, transfer it to a food processor and puree it as much as you can, adding a tablespoon of milk if need be. 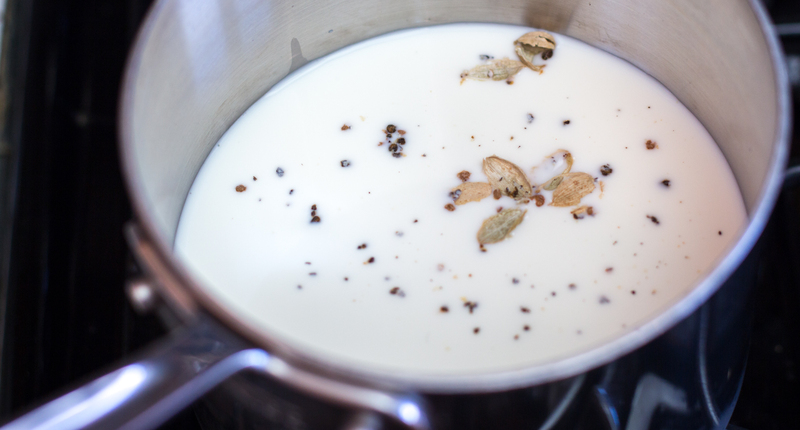 In a small saucepan, combine 1 cup of cream, 2 1/3 cup of whole milk, 1/2 cup of tightly packed brown sugar, and 3 crushed cardamom pods. Warm the mixture over a medium heat. While it is warming, transfer the pureed corn to the saucepan. When the mixture just begins to simmer (do not let it boil), remove from heat and let it steep for 15 minutes covered. 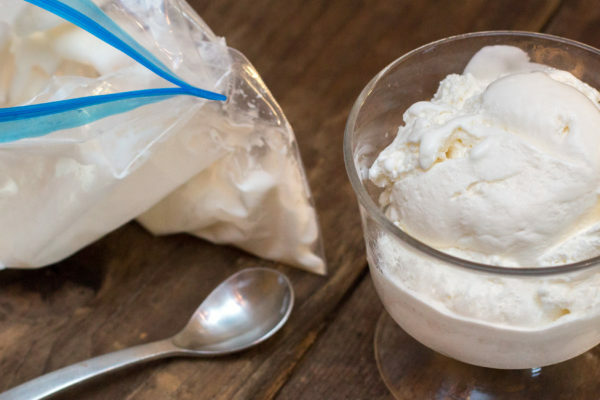 Strain out the cardamom pods and corn pulp, mix in a pinch of salt, then divide the mix amongst your popsicle molds. Add in the sticks and let it freeze for up to 10 hours before serving.